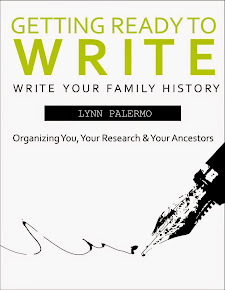 When the time comes to organize a family history interview, it’s important to have the right tools in front of you to capture those stories. Of course, if your interview is spontaneous then the right tools are whatever you happen to have with you. However, if you have the opportunity to schedule an interview then taking some time to prepare can go a long way to meeting with success. Coming prepared with the proper tools is important to feeling relaxed for both yourself and your interviewee. Nerves can always come into play in an interview even with family. The more prepared you are the less nervous you’ll be, making your family member more relaxed and your conversation more productive. 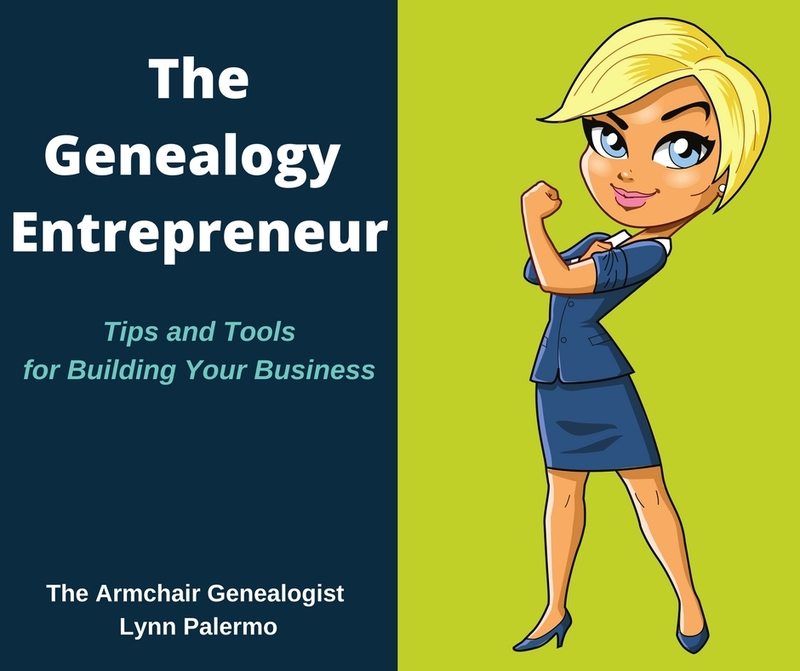 Here are 7 Tools I like to have with me when conducting a family history interview. 1. Prepared interview questions – I am a big advocate of having a prepared list of questions. I’m also a big fan of not sticking to the list. I know that makes no sense. The questions are a merely guideline, they are not written in stone. You should be fully prepared to follow the conversation wherever it may lead or pull your interview back on track with your next question. There is finesse involved, and that comes with practice, however having a prepared list is an ideal place to start. 2. Audio or video recorder- I always audio record my interviews. If can be on my Sony handheld voice recorder or on my smartphone. 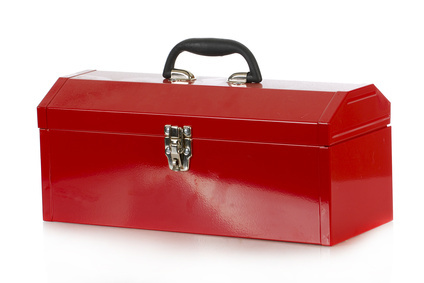 Don't forget to make sure you have fully charged batteries or back-up batteries for your digital equipment. 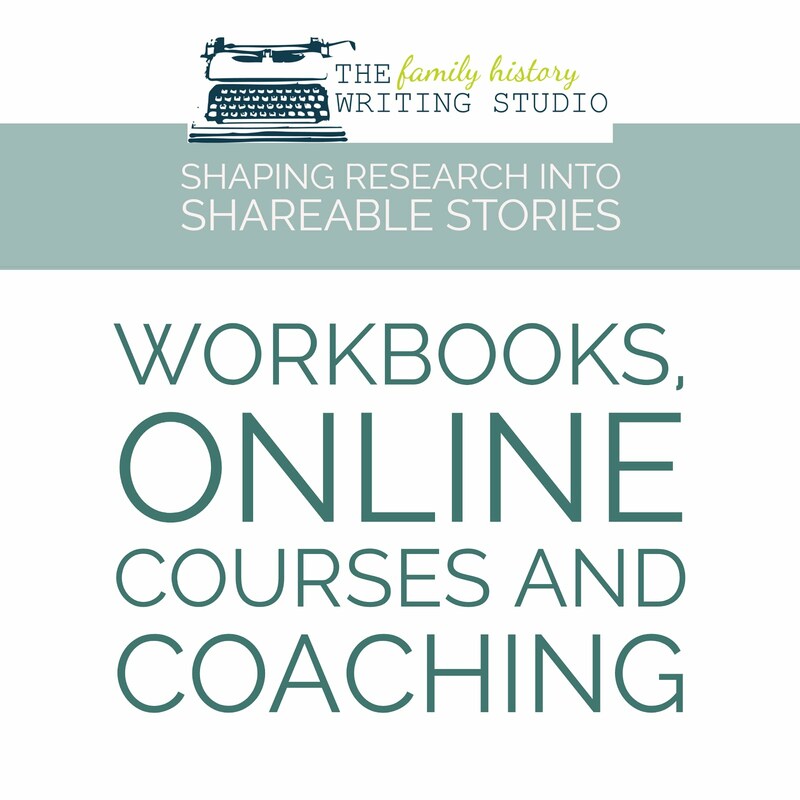 Lately, I been thinking of upgrading and if you would like to talk more about digital tools I suggest you stop by Susan Kitchens website Family Oral History Using Digital Tools. Of course, there are wonderful apps emerging that can also help, consider StoryPress or Saving Memories Forever to help you record those stories. Video recording is definitely becoming more and more of an option these days. Equipment is more affordable and more portable. However, you need to know your interviewee, not everyone will be comfortable with video recording. If you can get everyone to agree, think how exceptional it would be to capture your family member’s image, voice and inflection along with their story. 3. 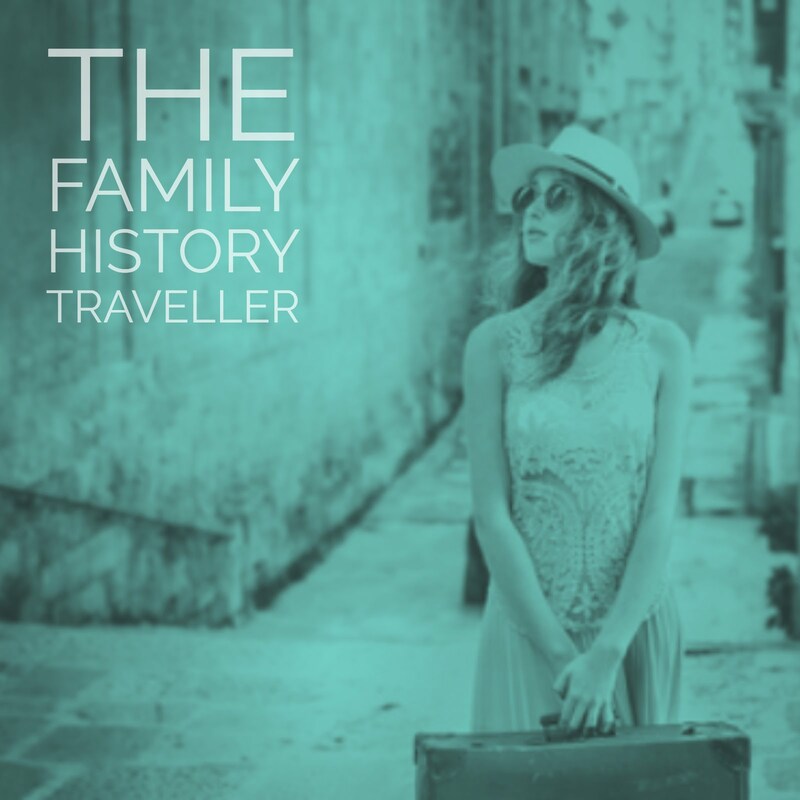 Old photographs and family heirlooms, and unidentified photographs all make wonderful conversation starters or can help spark a memory. Unidentified photographs can become identified, opening the door to new information. 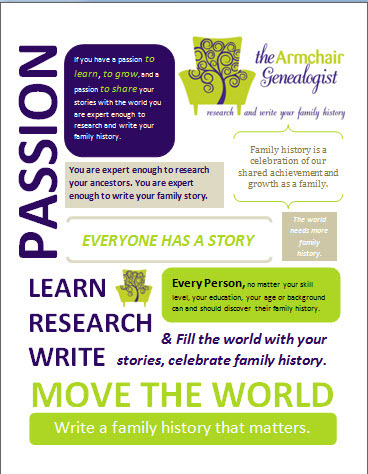 Never under estimate the knowledge your family member may have locked away in their memory. 4. An updated pedigree chart- Sometimes a pedigree chart can help you keep family lines straight and can often help your family member as well. 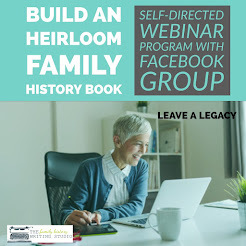 I find the elderly often like the visual aid that a pedigree chart can offer, especially if there is tendency to repeat names each generation. 5. A short bio of your interviewee with all your known facts clearly defined as a reference point can aid in your preparation. I always write a small bio about my relative in advance. It gives me the opportunity to get familiar with my family member's personal information before the interview. A bio also helps me to prepare my questions and to clarify all information should something questionable arise. 6. Pen and paper is always good to have on hand for backup in case the audio and video fail. In addition, it serves for jotting down a quick note for a follow-up question. I never only rely on pen and paper to record an interview. I believe you'll be much more engaged and present in the interview if you don’t have to worry about taking notes. 7. The Flip-PalMobile Scanner is an awesome interview tool. If you’re conducting your interview at a family member’s house, they just may pull out some pictures to share with you, but they are often uncomfortable about letting them out of their possession. The Flip-Pal allows you to scan at high quality and return the photographs within seconds. 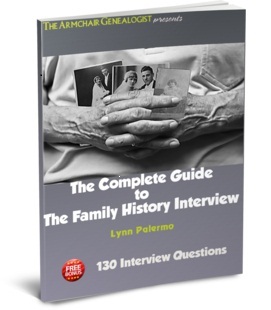 If you would love to know more about conducting a family history interview, download our free ebook, The Complete Guide to the Family History Interview. This guide includes 100 interview questions, tips for creating the right atmosphere. conducting a long distance interview and how to gently guide your interview and much more.